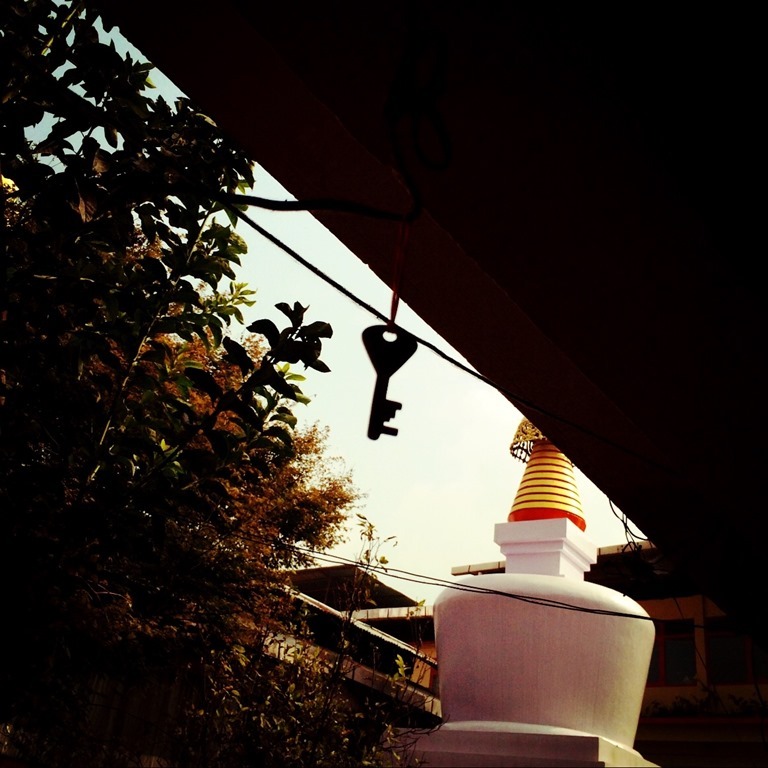 Last November at Sikkim’s Chorten Monastery,on a main passage leading to the office and monks’quarter, someone hung this key. I somehow became obsessed with this key. It simply appeared at such an abnormal place to me. I walked below it everyday during that period, thinking all sorts of possible reasons why it was there while all other people did not seem to care about it at all. It feels like all a sudden there is someone walking around with horns but nobody makes a fuss about it. Today, seeing this picture makes me start wondering again.